Custom Tableaux Traceries start at just $145. This innovative product introduces a whole new approach to metal work. 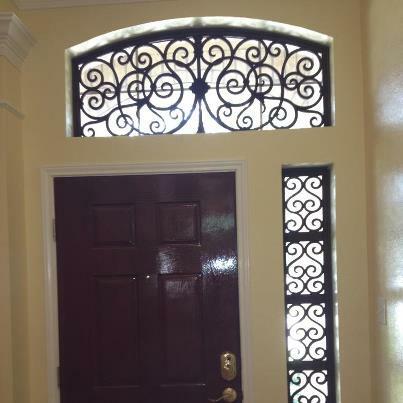 Although it looks like wrought iron, it’s actually a light weight composite material that is able to be mounted in any window or nook. Faux iron pieces are available in several different colors and patterns. Add your own unique touch to your home by using our designers to help you create a truly custom designed Tableaux Tracery. This product is perfect for that odd shaped window – arches, circles, eyebrows. The possibilities are endless.